This last weekend I attended the Southwest Washington Writers Conference. I was also privileged to attend a class called Creating Plots for Page Turners, given by the keynote speaker, Robert Dugoni. I say privileged, for this reason. Robert Dugoni is a bestselling author of thrillers, My Sister’s Grave being the book that caught my attention several years ago. Dugoni understands what makes a gripping story. As I sat in the class, it became clear to me that attention to writing craft is integral to his work, but he also sees it from a slightly different angle. While he covered many things which I will discuss in my next blog post, several things pertain to recent posts of mine, regarding the first draft. That was my thought, exactly. So how do we entertain our reader? What should we avoid? Is the information you are about to dispense relevant to the character and his/her immediate need? Does it advance the story? Resist the urge to include character bios and random local history with the introduction of each new face or place—let that information come out only if needed. Dispense background info in small packets and only as needed. Resist the urge to explain every move, every thought your character has. This is probably the most annoying thing an author can do. Is a flashback a scene or a recollection? Recollections are boring info dumps. Scenes take the reader back in time and make them a part of a defining moment. Write scenes, not recollections. Opinions about the scene or the character, or anything—author intrusion is to be avoided. Don’t be lazy—show the story, even when it is simpler to tell it. Points 3, 4, and 5 were concepts I consider in my own work, but never really thought about and hadn’t articulated them. They are critical and do bear mentioning here. A question Dugoni asked was one I have often considered and discussed here. “What is a story?” The answers varied, but the one he wanted, and with which I agreed, is the story is the journey. Frequently, stalled creativity is the result of the author having lost sight of the character’s journey, both the physical and the emotional journey. Dugoni offered a solution for when that is the case: Ask yourself, “What is the character’s physical journey/quest?” You must ensure each character has a journey, a quest, but Dugoni adds third aspect–a dream. That idea that the journey/quest is also a dream that must be fulfilled resonated with me. Then, consider the emotional journey. Why do these people continue in the face of great challenges? Is it love, anger, fear, duty, greed, honor, jealousy, or some deeper emotion that drives them? Find that emotion, and you will find your character’s motivation. Then ask yourself what happens if they don’t succeed? What are the consequences of failure? What is the public risk? What is the private risk? Something important is at stake, or there is no story. Once you discover what it is and how it affects the characters’ emotions, the story will come together. Classes like this are why I attend writer’s conferences. Robert Dugoni, Scott Driscoll, Cat Rambo—these people have the knowledge I need, and they are wonderful, accessible people who freely discuss all aspects of the craft in seminars, frequently at conferences I can afford and which are near me. The companionship and support of other authors has been invaluable to me, and I have made every effort to repay their many kindnesses by supporting them in their endeavors. The friends I have made through this career are as dear to me as any I grew up with, and that circle widens with every conference I attend. You may meet writers who are local to your area, and they will know of good writing groups near your home. They will also know about resources you can draw on, reference books you may not have heard of. If you are serious about the craft, you will seek out the company of other writers. Find a conference in your area, and see what turns up. You may find yourself learning from a master. Robert Dugoni’s most recent book, Close to Home launched Sept 5th and has garnered well over 65 customer reviews on Amazon in the first week alone and maintains a 4.5 star rating. Robert Dugoni is the critically acclaimed New York Times, #1 Wall Street Journal and #1 Amazon Best Selling Author of The Tracy Crosswhite series, My Sister’s Grave, Her Final Breath, In the Clearing, and The Trapped Girl. The Crosswhite Series has sold more than 2,000,000 books and My Sister’s Grave has been optioned for television series development. He is also the author of the best-selling David Sloane series, The Jury Master, Wrongful Death, Bodily Harm, Murder One, and The Conviction. He is also the author of the stand-alone novels The 7th Canon, a 2017 finalist for the Mystery Writers of America Edgar Award for best novel, The Cyanide Canary, A Washington Post Best Book of the Year, and several short stories. Robert is the recipient of the Nancy Pearl Award for Fiction, and the Friends of Mystery, Spotted Owl Award for the best novel in the Pacific Northwest. He is a two time finalist for the International Thriller Writers award and the Mystery Writers of America Award for best novel. His David Sloane novels have twice been nominated for the Harper Lee Award for legal fiction. His books are sold worldwide in more than 25 countries and have been translated into more than two dozen languages including French, German, Italian and Spanish. I’m in the depths of revisions on two manuscripts. Both are set in the same world. Both manuscripts had flaws that were caught by my friend Dave, who reads my work before I bother an editor with it. Addressing these flaws was not a problem, as I had someone to help me brainstorm it. Dave has great ideas, but his mind doesn’t work the way mine does. While they are excellent, his fixes usually don’t fit what I envision my story to be. However, his suggestions fire my own inspiration and show me the way I need to go to quickly resolve these issues. Without his insight, I wouldn’t have thought of the right fix. In the process of rewriting certain events to remove fatal plot-holes, and then going through and altering later scenes to make them match, I found several places where I meant to change the wording of a scene, so it reflected what I wanted for my protagonist(s). I had noticed these places earlier but was sidetracked, and the intended alterations were never made. Thus, their motivations were murky and didn’t ring true. Now I am also making these changes, and checking the manuscripts to make sure I have removed any inconsistencies. My original view of my protagonist, Billy Ninefingers, was more callous, more of a pirate than he is today. His story was begun in 2010, but I ran out of steam on it, and nothing seemed to make sense. 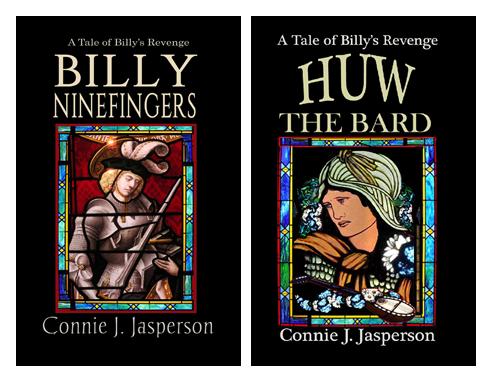 I decided to scrap it and move on to writing Huw the Bard, which was set in that world, with many of the same characters, but which was a more intriguing story to me at the time. (I’m still in love with Huw.) Billy appears toward the end, much as he is today. But, instead of going back to Billy, I wrote three more novels in the Tower of Bones series, and many short stories, both contemporary and fantasy. In the back of my mind, I always intended to get back to Billy Ninefingers, but never really did until just this last year. Over the course of six years I used him as a character in several other works set in his world, which set him and his circumstances more clearly in my mind. Through that process, my protagonist became less two-dimensional, less of a cartoon. Four years after writing the first draft of Billy’s story, a short story featuring him was published. It was written for a themed anthology, and adhering to that theme changed Billy and his motives for the better. The short story for the anthology fired me up, gave me ideas as to what had to happen to make the real story be what I knew it could be. I went back and pulled the original manuscript out of storage and rediscovered a character I had always loved, but didn’t know well. With a new goal in mind, I began rewriting it. Thus, some of what I had already written didn’t dovetail with the story as I now see it, and Dave pointed that out. Having a trusted reader who will tell me where I have gone off the rails is critical to my writing process. In my experience, when I read my work after having written it, if there is something that doesn’t ring true, a reliable first reader will be able to identify it for me. Every Tuesday morning I meet with a group of published authors, and we talk about everything, from what we are writing to how our children are coping with the slings and arrows of modern life. These authors give me support when I need it most. I regularly Google-chat about life, the universe, and writing with Dave, who lives in another state far from me. Dave and I have never met in person, but we’ve become close friends through the wonders of the internet. Talking with fellow authors, both in my area and from around the world, is the most important thing I do for me—it’s a “spa treatment” for my writing craft. Writing is a lonely craft. I recommend you go to Writers’ Conferences and Workshops. 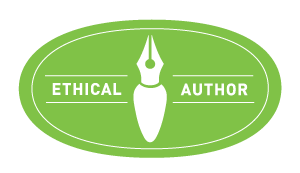 The networking is important, as are the workshops, but I have made lifelong friends through the Pacific Northwest Writers Association Conference, and also the Southwest Washington Writers Conference. One of the surest ways to find these local groups is by joining NaNoWiMo, and searching out your local region. Look at the threads of conversation, or message your local Municipal Liaison to ask where these groups might be. Having an external eye to help me see my work with a less jaundiced view is the most exhilarating part of writing. It never fails to rekindle the fire I have for a particular story. Right now, thanks to my friends, I wake up every morning, chafing to get started writing. Quill Pen, PD|by its author, BWCNY at English Wikipedia. I am in the process of making revisions on Valley of Sorrows, the third book in the Tower of Bones trilogy. I’ve had trouble with this manuscript, not because I fell out of love with it, but because so many great characters have emerged that I lost the thread of the story. Because I knew I had lost my way, I sent it to a friend, Dave Cantrell, who has done a structural edit and given me the pointers I need to get this back on track. What happened to derail VOS is this: I lost track of the original story arc. This is not an uncommon problem–writers tell me all the time how new and intriguing characters pop up and take their tale in a different direction. Sometime this works out well. Other times, not so much. I have floundered for two years on this novel. What Dave did at my request was far more intensive than a beta-read. He really went deep, looking at it from the standpoint of a reader and an editor, and asking himself what worked, what didn’t, and analyzing why. So right now I am taking each chapter on an individual basis and looking at Dave’s comments. Every comment is designed to let me know why a particular plot point did or didn’t work, and where it became confusing. He was able to see where I lost the overall story arc and his comments give me a road-map to guide my efforts in building tension and ending this series with a strong finish. I’ve said before that making revisions is not editing. Revising the first draft is a necessary part of the process that will get you to the editing stage. Resolution, in which the problems encountered by the protagonist are resolved, providing closure for the reader. As I said, most of us understand this arc, but we can easily lose track of it when we are in the throes of writing our first draft. At the 2014 PNWA Conference, in his seminar on the arc of the scene, author Scott Driscoll explained how the main difference in the arc of the scene vs the overall arc of the novel is this: the end of the scene is the platform from which your next scene launches. Each chapter is a scene. These scenes have an arc to them: action and reaction. These arcs of action and reaction begin at point A and end at point B. Each launching point will land on a slightly higher point of the story arc. This series deals with Edwin’s story. He is separated from his wife and child because of his task on behalf of the Goddess Aeos. No conversation can happen unless it advances the plot of this story. EVERYTHING that does not pertain to this story can be cut, saved, and used later. I have a goal of finishing this by the end of February. When I submit this to my editors, there will be more revisions–that is a given. But because of the work Dave has done, it won’t be the arduous rewrite it would have been.